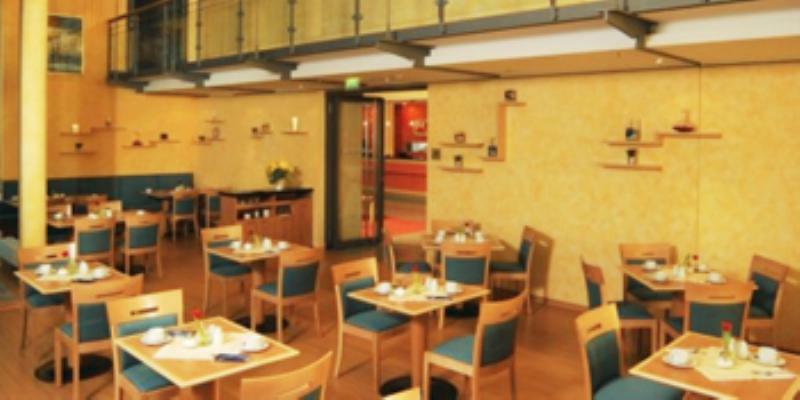 That a hotel restaurant is also a good place for some refined dining even if you are not staying there is what the InterCity Hotel in Düsseldorf proves. Situated conveniently right next to the station, the day begins here with a delicious breakfast which has something for all tastes, from Muesli to bread rolls through to sticky buns. Tea, coffee and cheese specialities also await you. Right through into the evening, both national and international dishes are cooked and then after dinner, the bar is open for any guests who want a little light refreshment.